Here is a step-by-step guide for how to rent a property through Borron Shaw. When/if the application is accepted, we will contact you to arrange a sign up date for you to move into the property. Due to Government immigration laws, everybody aged over 18 who is wishing to rent a property in the UK is required to go through a 'Right to Rent' check. Tenants will be expected to pay one month's rent in advance and the Deposit (usually the equivalent of one month's rent). 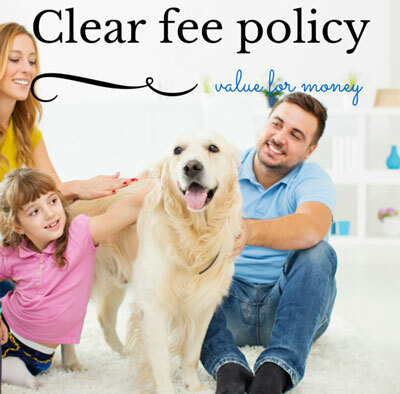 An Extra Deposit is to be paid for a pet deposit, which is normally agreed prior to moving into the property. Tenants are expected to read, date and sign the Assured Shorthold Tenancy Agreement on the date of the sign up at the office. Meter readings will be taken for Gas, Electricity, Water, Borron Shaw will notify all the utility companies including Council Tax, that you have moved into the property. The Lettings Team will give you the keys to the property on the day of sign up. Should there be any repairs with the property please contact our lettings team at the Hindley Branch. Our Lettings Team are here to help you as tenants and aim to resolve any concerns as quickly and efficiently as possible. We can also be contacted via private message on Facebook for any urgent repairs. Q: Will my deposit be protected? A: As part of the Housing Act 2004 the Government introduced tenancy deposit protection for all Assured Shorthold Tenancies (AST) in England and Wales where a deposit is taken. From April 6th 2007, the landlords should protect all deposits paid under an AST within 30 calendar days of receipt. A tenancy deposit protection scheme safeguards your deposit. This means you can be sure that, as long as you are entitled to it, you will receive your deposit back at the end of the tenancy. For example, your landlord may be entitled to some of the deposit if there is any damage or if you have an outstanding rent balance. The scheme also provides an arbitration service, this service deals with any disagreements between the tenant and the landlord regarding the deposit without having to go to court. The arbitration service's decision is final. Q: Why has the Tenancy Deposit Protection Scheme been set up? A: There has been an amount of deposits taken which have been dishonestly withheld at the end of a tenancy. One of the main objectives in introducing the Tenancy Deposit Protection Schemes is to raise standards in the rental market and guarantee fair management towards tenants at the end of a tenancy. It also encourages Agents and Landlords to set up an Assured Shorthold Tenancy correctly through the use of formal government approved documentation. Q: Who secures the Deposits? A: Under the Housing Act 2004, the landlord (or the agent acting on behalf of the landlord) is responsible for protecting the deposit. Under a Let Only Service the Landlord will be responsible for registering the deposit within 30 days. Under a Full Management Service, Borron Shaw will be responsible for registering the deposit within 30 days. If your property is fully managed the deposit will be registered with the Deposit Protection Service (DPS), this is a custodial scheme. Borron Shaw will forward your deposit to the DPS. You will be provided with a deposit certificate directly from the DPS once it has been registered. Q: What happens if a deposit has not been protected? A: If your landlord, or an agent acting for your landlord, does not protect your deposit using an approved tenancy deposit protection scheme, or will not tell you which scheme they are using, you could take them to court. Should you take the action of proceeding to Court, and by the time of the hearing your deposit has still not been protected and your tenancy has not ended, the Court can either order your landlord to pay you back up to three times the amount of the original deposit paid by you to the landlord (or agent) or order them to immediately pay it into one of the schemes. If possible, it's best to avoid court action, so if you're thinking about taking your landlord to court, you should seek legal advice straightaway. If your tenancy has ended and you take your former landlord to Court, different rules will apply. The most the Court can do is order them to pay you back some or all of your deposit and possibly the fees you paid to start the court claim. There is a special procedure, which private landlords can often use to evict tenants without having to give reasons and without a court hearing. However, your landlord is not allowed to use this procedure if they don't protect your deposit using an approved tenancy deposit protection scheme, or will not tell you which scheme they are using. If your landlord is trying to evict you, you should talk to an experienced housing adviser straightaway. A: You should get your deposit back within ten working days if you and your landlord (or agent) agree on the amount you should receive back. The way this works, and what happens if there is a disagreement, depends on the type of scheme your landlord is using. If there is a disagreement, make sure the landlord and the deposit scheme have your contact details such as forwarding or email address or a telephone number. It is reasonable for your landlord to retain money from the deposit to cover, for example, damage to the property or furniture, or missing items, which were listed in the inventory. But they should not take money off the deposit to pay for fair wear and tear, in other words, damage that has taken place over time through normal use. If your deposit is being held in the custodial scheme and you and your landlord agree how much you should get back, you both need to contact the relevant scheme know by completing a specific form. The scheme will then pay you the agreed amount within ten days. If there is a disagreement about how much of the deposit you should get back, the scheme will retain the full deposit until the disputed amount has been agreed between the relevant parties. If your deposit is being held in an insurance-based scheme, your landlord will have kept your deposit. They must return it to you within ten working days of your requesting it to be returned to you, providing you both agree how much you should get back. Should you fail to reach an amicable decision on the amount to be returned to you, then the Landlord must pay the deposit amount into the approved tenancy deposit protection scheme, pending resolution of the dispute. Once you have reached an agreement on the amount to be returned to you, if the landlord subsequently fails to pay you this amount that you are entitled to, the insurance scheme will pay it.